[3:11] <Kymru> ok so RTL8188CUS works straight of the box for Raspbian, does RTL8188eu now work straight out the box as well? [6:20] <jammy_> need or not? [6:24] <gnarface> jammy_: did you succeed at adding libomxil to your app? [6:42] <gnarface> jammy_: you have to understand that is a generic example. 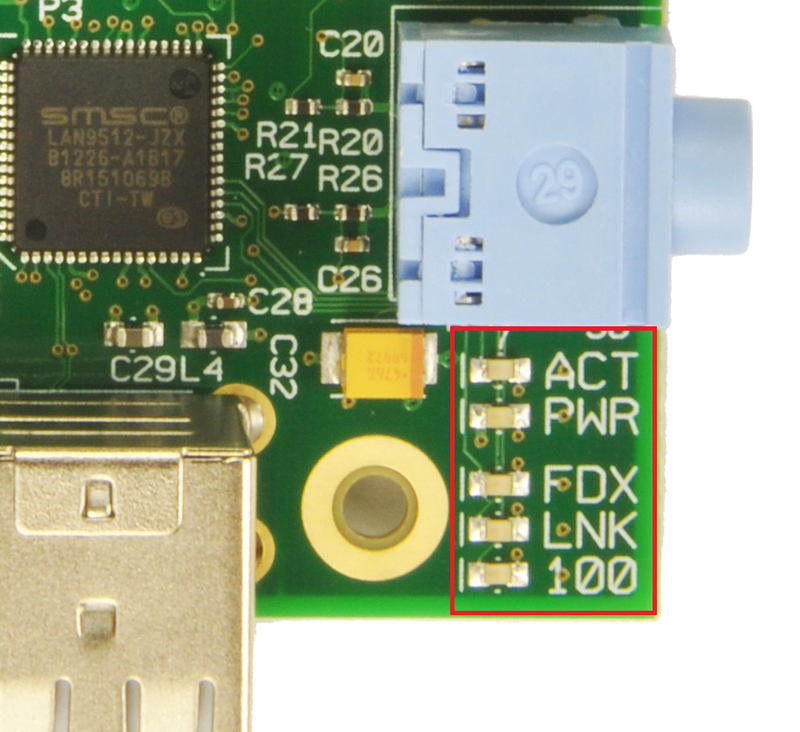 the raspberry pi needs special code. i've tried to tell you this several times but you don't seem to understand, and you simply ignore the fact you don't understand, or you don't believe me,and pretend not to believe me. i understand you have a limited grasp of english but this behavior seems very insulting, which is why other people are not responding to you. [9:22] <Kymru> does the rtl8188cus and rtl8188eu use the same drivers? [9:32] <Kymru> does rtl8188cus currently come in the raspbian image? [10:29] <edy81> without removing the preinstall x11 netsuft browser? [11:06] <d1360> has anyone installed a huawei E3331 (a 3.5G modem)? [11:06] <zGrr> d1360: I did. [11:10] <zGrr> Don't know. For me, it was just plug-and-work. [11:12] <zGrr> d1360: there could be some issues with the non-HiLink models sold on the Russian market - I saw one such modem branded by Билайн. [11:14] <zGrr> d1360: look what dmesg says, after plugging in the modem. [11:15] <zGrr> d1360: might need some modesetting, but in my case, it just recognized eth1 without problem. [11:16] <d1360> I have installed previously the sakis3g scripts for another modem, and I had to blacklist some modules for issues that appeared. [11:16] <zGrr> d1360: actually, i don't remember. I might have defined eth1 in configuration files manually. [11:16] <zGrr> d1360: you don't normally dial with this modem. system sees it as another ethernet adapter. [11:17] <zGrr> d1360: you need to get IP address from the modem's dhcp server. [11:23] <zGrr> Check your configuration in /etc for eth1 entries. [11:25] <zGrr> d1360: what does your ifconfig say? [11:29] <d1360> well I have something in lsusb --> Bus 001 Device 009: ID 12d1:157d Huawei Technologies Co., Ltd.
[11:57] <d1360> zGrr: I've done that and it worked...I see eth1 with ifconfig. My question is why my debian desktop was able to mount the usb so I could access to the installation scripts and raspian wasn't able. And do i need to execute that command everytime i start the raspy or plug the modem? [11:59] <zGrr> d1360: no idea. does your debian has a Network Manager? [12:01] <lunaphyte_> hi. when i ssh in, a line is printed: "Linux raspberrypi 3.10.25+ #622 PREEMPT Fri Jan 3 18:41:00 GMT 2014 armv6l" - where does that come from? [12:02] <zGrr> d1360: probably the network manager is doing this trick on it's own. [12:05] <d1360> zGrr: then I assume raspbian doesn't use it, does it? [12:06] <d1360> anyways, how can i guess my external IP now? [13:01] <d1360> is it posible use the Huawei E3331 3G modem with the sakis3g script? [13:03] <zGrr> d1360: you have to disable hilink and then you can use it as a modem. [13:03] <zGrr> d1360: why would you want to do that? [16:57] <lunaphyte_> hi. when i ssh in, a line is printed: "Linux raspberrypi 3.10.25+ #622 PREEMPT Fri Jan 3 18:41:00 GMT 2014 armv6l" - where does that come from? [17:29] <gordonDrogon> its yet another package designed to do nothing more than slow the boot process. [17:30] <gordonDrogon> uname -a is handy. [17:31] <gordonDrogon> what's annoying is that you can't remove it via apt - as it's now a standard part of the base system. [19:36] <zfisher> has anybody had success running batman-adv on the Pis with rtl8188cus chipset? [19:39] <zfisher> i've followed the steps detailed on their wiki on my 2 nodes and i cannot find any nodes nearby when i look for them. i think the issue may be that my wifi cards are being put into different cells when i try to put them into ad-hoc mode. [19:49] <lunaphyte_> gordonDrogon: thanks, that was it. [20:35] <Jusii> how do you know it's not booting? [20:37] <user_458845643> i know , help ..
[20:37] <Jusii> no display connected? [20:38] <user_458845643> the right way for build the sd from unix terminal is : sudo dd if=image.img of=/dev/mysddev ?? [20:38] <Jusii> you don't have display connected? [20:39] <Jusii> even a keyboard would be helpful! [21:08] <user_458845643> Jusii, sorry, are you here? i loosed my old sd for a bad power-off , a backup with dd should be a good way for save an image? [21:11] <user_458845643> something as 'dd bs=1MB if=/dev/mmcblk0 of=/backup.img' should works? [21:11] <user_458845643> or there is something better? [21:26] <user_458845643> Jusii, yes i read about it .. some suggestions for a working way? [22:04] <viccuad_> vagrantc: I have read the man page, but that does not answer my question. Is Raspbian using bcm2708-rng by default? [22:08] <viccuad_> but just quoting the man does not mean it is secure. If Raspbian is using bcm2708-rng by default, instead of using keyboard interrupts etc as usual for /dev/random, and broadcom has their RNG bugged, then..
[22:15] <gordonDrogon> There was some talk of Linux and /dev/random in the press recently. the up-shot was that it doesn't rely solley on one particular source. [22:15] <gordonDrogon> so I imagine that's the same no-matter what platform/cpu/etc. [22:16] <gordonDrogon> and the source code is all there. [22:17] <viccuad_> true. For /dev/random, the kernel fills the pool, and then applies some one-way hash functions. So you could fill the pool with a flawed RNG. [22:23] <gordonDrogon> to find out. [22:34] <gordonDrogon> on my Pi's. standard raspbian kernel. [22:36] <viccuad_> mmm, where are the sources for building the raspbian kernel? [22:46] <vagrantc> gordonDrogon: where do you get your standard raspbian kernel from? the kernel packages in the raspbian repository don't enable hw_random by defalt, as far as i can see. [23:31] <viccuad_> where is the raspbian kernel config sources?